I like to think that I have somewhat of an overactive imagination, a fact that I’m sure, can be evidenced by my back catalogue of posts here on Escentual. What can I say? I’ve always been a day dreamer and the things around me, the sights, sounds, tastes and, most importantly, the smells play a big part in informing my little mind vacations. But what does this all have to do with Acqua di Parma, Thomas? Well, quite. 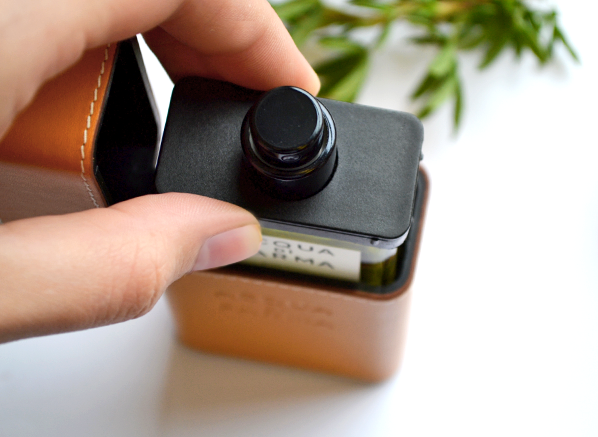 Less about me and more about this handsome little travel spray that we see before us. But it would be fair to say that the brand new, leather-bound travel spray has sent my imagination into overdrive, creating fantasies of driving through the Italian countryside in a Ferrari (I’ll take a 458 Spider, please), with the roof down of course. It’s a nice image, trust me. 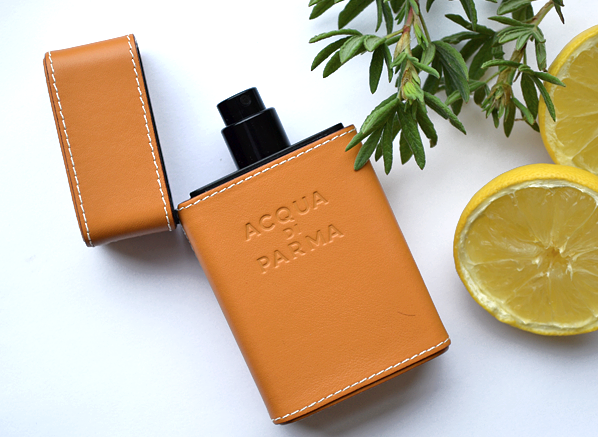 Never has a more handsome object existed than the luxurious Acqua di Parma Travel Spray. Bound in tan leather, with contrasting white stitching and the Acqua di Parma moniker stamped into its flesh, this travel spray is more than just a convenient vessel for carrying your beloved Colonia here, there and everywhere – it’s a luxury accessory that, with the simple flick of the thumb, the launches its lid upwards in preparation for a generous spritz of a timeless cologne. Speaking of the scent, I would be remiss not to dedicate a few words to the smell of this very classic cologne. Colonia does what all good colognes should do, and that’s smell citrusy fresh, floral in a clean way and large, and musky with excellent presence and longevity. In fact, Colonia does more than that due to its slightly animalic underpinnings, which allow it to have a little bit more depth. Colonia is a classy cologne that, on one hand, gives the impression of an expansive grove of lemons bursting with scent, but also has the refinement to speak of sharp suits and expensive shoes, on the other. This entry was posted on Wednesday, June 17th, 2015 at 11:14 am and is filed under Candy Perfume Boy, Fragrance. You can follow any responses to this entry through the RSS 2.0 feed. You can skip to the end and leave a response. Pinging is currently not allowed.